SEO musings are prepared by Karolina Onufrowicz of ColibriTool.com, the Polish startup that offers online SEO tools as a service. In search engine optimization a company often delegates the work to professional agencies which have experience in this field. There is nothing wrong with that, of course. But let’s take a look at what happens next: we wait . . . one month or two, sometimes three, because positioning website in Google ranking takes quite a long time. In the meantime, we receive reports and see that our position is rising – it may even be rising quite quickly. After some time, we appear on the first page of search engine results, then among the first three positions. Great! We are positioned very high, and now we need only to maintain this position. Time goes by, and although we’re in a high position in the most popular search engine in the world, nothing has changed. Our traffic hasn’t risen, we do not have more customers, and our revenue continues to limp along. The question then arises: what went wrong? There could be many reasons, but they all come down to one thing: we did not analyse the quality of keywords and their relationship to generated traffic and conversions. This analysis seems to be quite ambitious at the beginning, and often it may seem that we do not initially achieve a credible result. 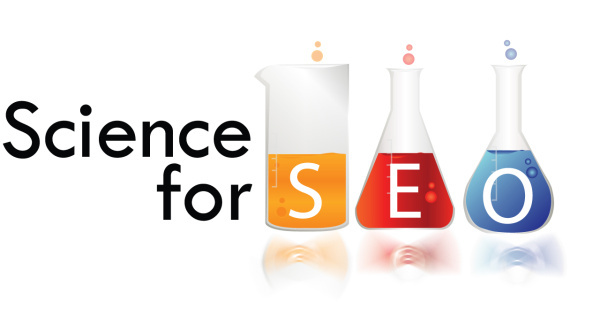 At Colibri we measure a great number of SEO indicators so that we can avoid the above scenario. The first important function is to measure the traffic on a given keyword, because we will achieve nothing if we are on the first page for a keyword that no one searches for. We see not only the number of local and global views, but also the level of competition for all keywords. Thanks to this, one can avoid the situation where a website is positioned on the “wrong” keyword. It is also then possible to predict at what point in time a high position in ranking will be achieved. The greater the competition, the harder it is to be on the first page of search engine results. Furthermore, with specialized tools we can predict the CCP and the monthly budget needed for a given keyword in AdWords. At this point one can rationally decide which words to position and for which ones to choose for a paid AdWords campaign. After integration with Google Analytics Colibri suggests similar keywords to those we are already monitoring and provides with the keywords that users are using when they find our website. So, we have new, valuable keywords that we had never thought of. The next obvious step is verification. With some tools we can see the traffic and the conversion on all of our keywords. It may turn out that we have a good word that is normally profitable, but that in our case we do not have the proper conversions. We need a clear chart on which we can see that the word has brought about the desired effect and that our customers are actually searching for the words we think they are. One of the most important SEO functions is to detect the best traffic sources and sales funnels. Through this we can measure our sales funnels and conversions – which we might get from a variety of sources – from keywords and traffic on our site. Additionally, a useful function is the measurement of backlinks and the possibility to display them according Ahrefs rating. We can see who is writing about us, where we appear on the Internet, and how valuable a particular backlink is. We will also receive email notification of all new backlinks so we do not miss anything. It seems that we already know what to do and how to do it, but we should also take a closer look at what our competition is doing. With competitor analysis on Colibri, we can easily monitor the online marketing and SEO efforts of other companies. Colibri not only detects competitors, but also monitors their SEO performance.